It’s hard enough to get into your dream school, let alone your top two. Maybe there are different aspects of each school they you really like, or maybe the two schools are very similar, but in different locations. So when it comes down to it, how do you choose between two schools you love? It’s no easy deed, but a decision has to be made. There are a lot of factors that go into choosing a school, but when it comes down to two you love there are two very important details to consider: location, and cost. Even if location isn’t an important factor to you, consider which school is closest and easier to get to. Going to a school closer to home will save you money on travel, and it’ll also be more convenient if you want to go home during the semester. How close the school is to your home isn’t the only reason to think about location. When I say consider the location, I also mean the surrounding area of the school you’re interested in. What’s the town like? What’s the area around campus like? You want to make sure you’ll be comfortable in the town you’ll live in for the next few years! Some places are safer than others, and if this is an aspect you or your parents care about, I would do some thorough research. Also keep your interests in mind. If you love to spend time outside, which school is closer to the great outdoors? If you love to sightsee or try new things in an urban setting, which school is in a larger city? You want to make sure you’ll be happy in the area you’re moving to, not only for the first semester or two but years down the line. Classes can be stressful, and you’re going to want to do something that will take the edge off, so make sure there are opportunities around you to do the things you enjoy! Unfortunately for most of us, cost is usually one of the biggest – if not the biggest – factor in choosing a school. Of the two schools you’re torn between, one is most likely more expensive. If you want to save money and minimize the number of loans you’ll have to take out over your college career, choosing the cheaper school may be the way to go. No college is cheap, but when you find a great school that’s less expensive than most, you have a keeper. Also, don’t underestimate the power of financial aid. 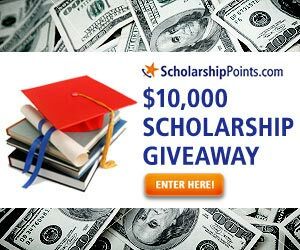 Getting a scholarship or grant could make the decision for you. If both schools offer you a great financial aid package, and you love both equally, go with the best deal! The idea here is to get a quality education, enjoy your time in college, and spend as little money to do it as you can. If all else fails? Well, you can always put both names on a piece of paper, put the two pieces in a cup, and draw a name. If you draw a name and aren’t thrilled with the one you choose, you have your answer! At the end of the day, it’s all about what will make you happy.